My personal preference is to snoop around for a windsock that’s located near the runway for a more realistic estimate of the winds. The closer the windsock is to the middle of the runway, the better. With a little practice, it’s possible to keep the airplane within inches of the runway centerline during a crosswind landing. Now that’s a rule I seldom bother to use. After all, strangers can teach you some interesting things, and some strange things, too. I experienced one of these unusual events many years ago when hitching a ride to a speaking engagement after my plane developed mechanical trouble. A nice enough fellow in a Piper Comanche, accompanied by two friends, was headed in my direction and offered the copilot’s seat. It was a relatively normal flight right up to the point where we turned a five mile final for runway 30R at San Jose International Airport. My chauffeur requested wind information. That’s when the strangeness began. “Wind 340 degrees at 15 knots,” replied the tower. With the finesse of a ballerina gone bad, he stabbed the floor with the left rudder pedal then rolled the wheel to the right as if applying a finishing armlock at a judo tournament. “Whoa amigo, por favor!” I pleaded in a foreign tongue as I put my pinkies on his yoke (an ancient flight instructor reflex). Initially, I was concerned that I might have embarrassed him in front of his friends, but I doubt they saw a thing. They were, I figured, quietly cranking out Hail Marys. “Ahh, what did you have in mind there, partner?” I quipped. In all my years of flying, I’ve never noticed my spleen before. Then again, I’ve never had a door handle poking it, either. Oh, what a feeling! For nearly two solid minutes, I strained to keep my torso vertical while Vlad the Impaler skewered me with one of the door’s tiny appendages. This was Mystery Crosswind Theater at its best. Although I found the situation slightly amusing, sideslipping for that length of time is just plain uncomfortable. For the passengers, it was also scary. To them, it must have felt like a wing got a flat. Now I know why the Pope kisses the ground whenever he gets off an airplane. Isn’t there a more comfortable way to handle crosswind correction? Let’s take a closer look at what Sideslip Man did and how it might be done with greater empathy for everyone onboard. When the tower gave him the winds, he acted as if these were the winds that would affect his airplane for all eternity, or at least all the way to landing. But that’s not always the case, is it? 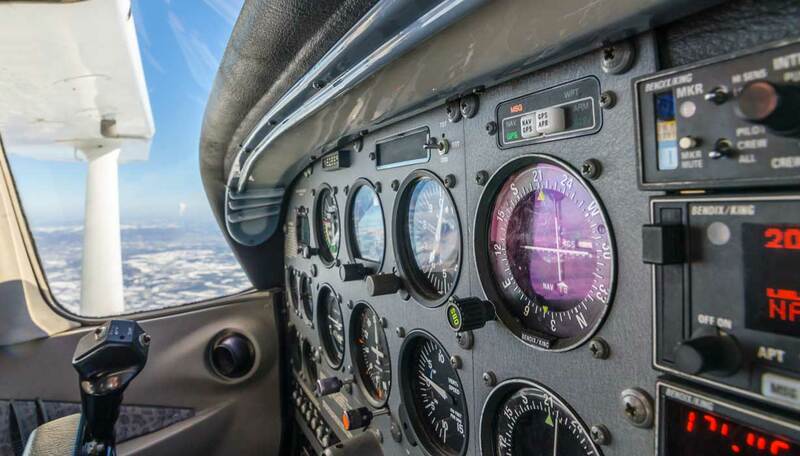 Depending on where the anemometer is located, winds given by the tower can differ substantially from what the pilot experiences at any given phase of the approach and landing. The only winds that count are the ones that affect the airplane at the moment, not those advertised by the tower. Sure, the tower’s wind information provides a useful estimate of potential crosswinds during landing, but it isn’t gospel by any means. My personal preference is to snoop around for a windsock that’s located near the runway for a more realistic estimate of the winds. The closer the windsock is to the middle of the runway, the better. If the windsock is flopping around like a fresh fish on a boat deck, you’ll know the winds are variable, gusty or both. Nevertheless, what matters most is what the wind does to the airplane, not what it does to the windsock. What about the jujitsu move our boy put on the Comanche? If he inflicted this treatment on a real Comanche, you can be sure he wouldn’t need to continue his Rogaine treatments. The fact is that he manhandled the controls and skidded the airplane before he slipped it. Skidding an airplane close to earth is not one of my favorite activities. It’s a spiffy way to enter a low-altitude spin, which is like flying an airplane with tail numbers November 007 (both airplanes are licensed to kill). Admittedly, there are several ways to begin a sideslip, but each involves slipping, not skidding. From straight flight, a slip is best initiated by leading with the aileron, followed by rudder. This is true of either a forward slip (to lose altitude) or a sideslip (for crosswind correction). Our boy applied left rudder first, which yawed the nose to the left, resulting in a slight left turn. Now the ball is deflected to the right. That’s a left skidding turn. When he applied his Hulk Hogan move with right aileron, he changed the direction of turn to the right. Now he’s slipping to the right, which is what he wanted to do in the first place. This brings us to the matter of when to use the sideslip. My preference is to crab the airplane on final, then transition to a sideslip just before landing. Since a crab is a coordinated maneuver, no one on board feels the least bit uncomfortable. Sure, the airplane’s isn’t aligned with the runway. But the passengers don’t mind as long as their internal organs aren’t being probed by an armrest. So when should you transition from the crab to the sideslip? That’s a question of technique. Some pilots prefer transitioning from the crab to the sideslip on a short final. OK, if that pleases you, so be it. Others wait until the last possible minute, transitioning right before flaring. That’s fine too. Which one is correct? Both are. If the wind is exceptionally strong, beginning the sideslip on a short final allows you to evaluate the airplane’s ability to handle the crosswind. So it really doesn’t matter which technique you choose. You should, however, have a reason for doing it a particular way. I like to hold the airplane in a crab until I begin the roundout (usually begun at 15 to 20 feet above the ground). Then I apply a sideslip for crosswind correction. Why? Because it makes everyone on board feel much more comfortable. Keep it in your cerebral file somewhere that most passengers do not enjoy feeling like someone’s trying to spill them out of the airplane. They associate tilting with falling. They don’t want to fall. Crabbing into the wind until beginning the roundout means that the crab angle remains relatively constant. Why? The windspeed, thus the crosswind component, typically doesn’t change that much until you get closer to the runway (where ground friction may alter the wind’s speed). Once the crab angle is established, you can generally hold that angle until beginning the roundout. All of which means you needn’t work too hard to maintain the desired ground track. Once the roundout begins, I immediately transition to a sideslip. A sideslip provides great fidelity of drift control during the landing flare. With a little practice, it’s possible to keep the airplane within inches of the runway centerline during a crosswind landing. Such control is important since airspeed and windspeed may change between the roundout and the touchdown. In particular, as the airspeed decreases during the flare, you may need to increase the sideslip angle to correct for drift. In many smaller airplanes, applying right aileron from a right crab, causes adverse yaw to initially pull the airplane’s nose slightly left. This is precisely where you want it to go. Now all you need to do is feed in enough left rudder to align the longitudinal axis with the centerline. Drift correction is achieved by adjusting the ailerons. Do it this way and you’ll stay directly over that white stripe in the middle of the runway, all without having to ask the tower to activate the RCWD or Runway Centerline Widening Device (OK, there’s no such thing). Touchdown is accomplished on the upwind wheel, with the remaining wheels gently lowered to the runway. But don’t expect applause for the one-wheel landing, unless, of course, you have a bunch of Lufthansa airline passengers on board (they applaud every landing). There are many acceptable variations of the sideslip landing technique. Beginning the procedure on a five mile final probably isn’t one of them. It sure is an uncomfortable way to fly an airplane for that length of time. A little finesse with the flight controls also helps comfort all on board. Years have passed since I last saw Sideslip Man but I still keep an eye out for him. Someday I may see him on ESPN as part of a Greco-Roman wrestling team. He sure has the moves down.